With most votes counted from yesterday's Likud primary race, MKs like Oren Hazan and Yehuda Glick are likely to be left out of next Knesset. A number of sitting Likud Knesset members may find themselves left out of the 21st Knesset, even though their party appears poised to win roughly the same number of seats it currently holds. While the results have yet to be finalized, most of the votes from yesterday’s Likud primary have been counted, with the initial results suggesting that Transportation Minister Yisrael Katz will likely lead the Knesset list (after chairman Binyamin Netanyahu), followed by Knesset Speaker Yuli Edelstein and Gideon Sa’ar. Most of the Likud’s current 30-member Knesset delegation received realistic seats, likely ensuring them a place in the next Knesset. Some notable Likud lawmakers, however, are trailing far enough in the preliminary results to suggest that they likely will not be returning to the Knesset after the April 9th general election. Polling for the upcoming election currently shows the Likud winning anywhere from 25 seats if Prime Minister Netanyahu is indicted to as many as 33 if there is no indictment (the party currently holds 30 seats). The average of all polls taken since the beginning of the year shows the Likud with an average of 29.5 seats. As some newcomers to the party’s Knesset list, like former Jerusalem Mayor Nir Barkat, gained safe spots on the list, some sitting MKs have been pushed down. 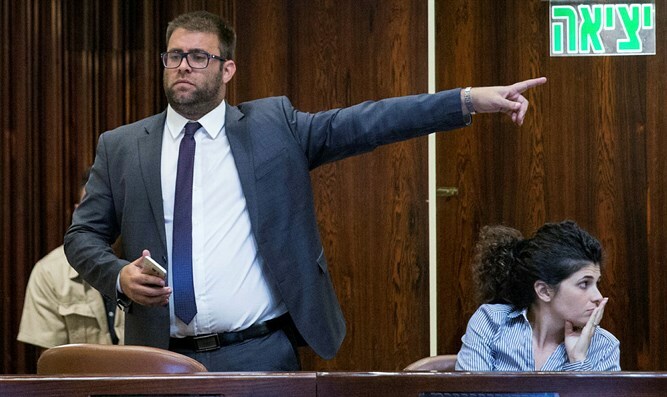 Among the MKs who at this time appear likely to be placed too low on the list to enter the Knesset after the election are Oren Hazan, Nava Boker, Anat Berko, Yehuda Glick, Avraham Neguise, and Yaron Mazuz. Even Communications Minister and veteran Likud MK Ayoub Kara may find himself outside of the 21st Knesset. With the exception of Kara, all of the aforementioned MKs found themselves, at least according to the preliminary results, below the 24th spot on the list. The results of the primary vote do not translate directly into positions on the Knesset list, however, with a number of seats saved, in keeping with the Likud party charter, for regional candidates. In this way, the 30th place on the Likud’s Knesset list will likely be taken by the person on the nationwide primaries list who came in 24th (currently Keti Sheetrit). Yehuda Glick, who is currently placed at 25th on the primaries list, will thus likely take the 31st spot on the Knesset list. Spaces reserved for candidates chosen by Prime Minister Netanyahu personally are expected to take up places beginning at the 21st spot on the Knesset list, further bumping down candidates selected in the nationwide primary vote. This may not mean these incumbent MKs will be left out of the 21st Knesset entirely, however. Large parties such as the Likud often have several departures during a Knesset term, opening up vacancies which are filled by candidates from farther down on the Knesset list. In the 20th Knesset, for example, Sharren Haskel, Amir Ohana, Yehuda Glick, and Osnat Mark all reached the Knesset after vacancies opened up, despite their having been placed below the 30th spot.